Say goodbye to cheap plastic shower caps that make your hair sweat and hello to a pretty, fun and practical collection that will make you smile as you protect your hair from moisture. . 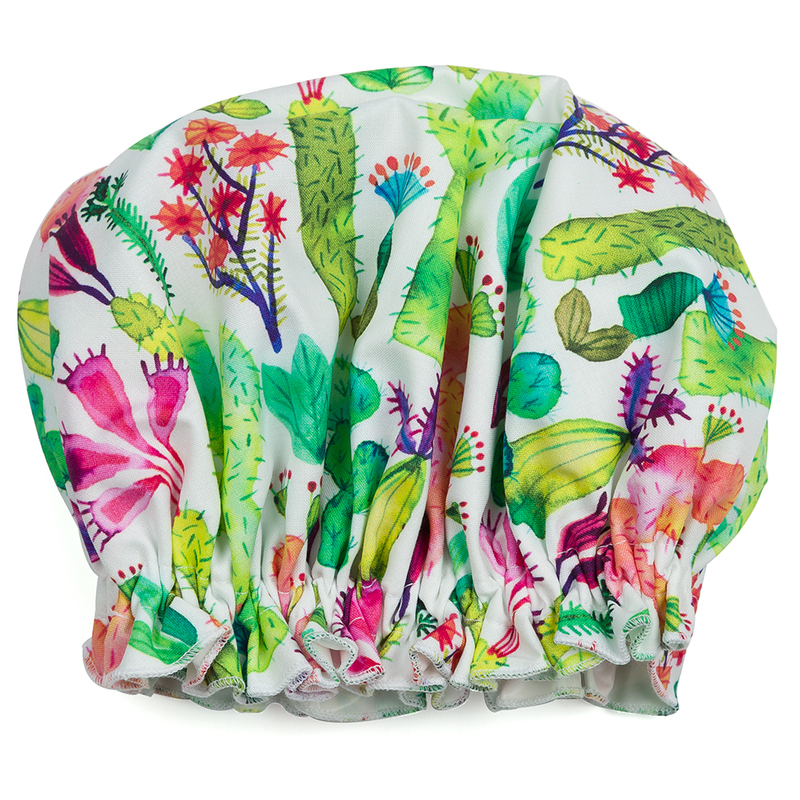 Decorated with cornflowers, paisley prints, cute birds and tropical palms, Annabel Trends shower caps are a way of bringing the sunshine into your bathroom every day. Made from 100% cotton with a PVC lining. Great for travelling as it dries fast. Presented in an Annabel Trends gift pack.